I’m about to tell you that you can take a banana and an egg and make some of the best crêpes (or pancakes!) ever! But seriously, it’s just a banana and an egg—THAT’S IT. Okay, yes, there is some salt and vanilla, but those don’t technically count. You blend them, you pour the batter out, and voila! You end up with light, moist crêpes that can be eaten any way you like. I like mine with Nutella and strawberries, because, well, that tastes amazing. But in your kitchen, the crêpe-topping rules are up to you! There is literally no chance you will be disappointed. And in the highly improbable case that you are, send those leftovers my way! 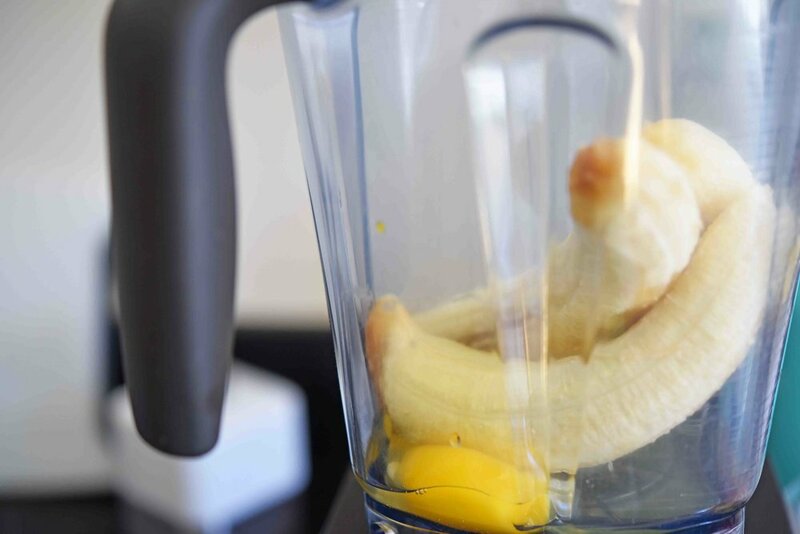 To the bowl of a blender, add the bananas, eggs, vanilla extract, and salt. Blend these ingredients until they are smooth, then set them aside. Heat 1 teaspoon of the butter in a large cast iron or nonstick skillet over medium-low heat. Then make the crêpes one at a time by adding about ⅓ cup of the banana batter to the skillet, cooking each until its bottom is a deep golden brown—about 3 to 4 minutes. Then flip the crêpe over and cook it until the other side is also a deep golden brown—1 to 2 minutes more. Repeat this process with the remaining batter, wiping out the skillet and adding 1 teaspoon of butter between each crêpe. 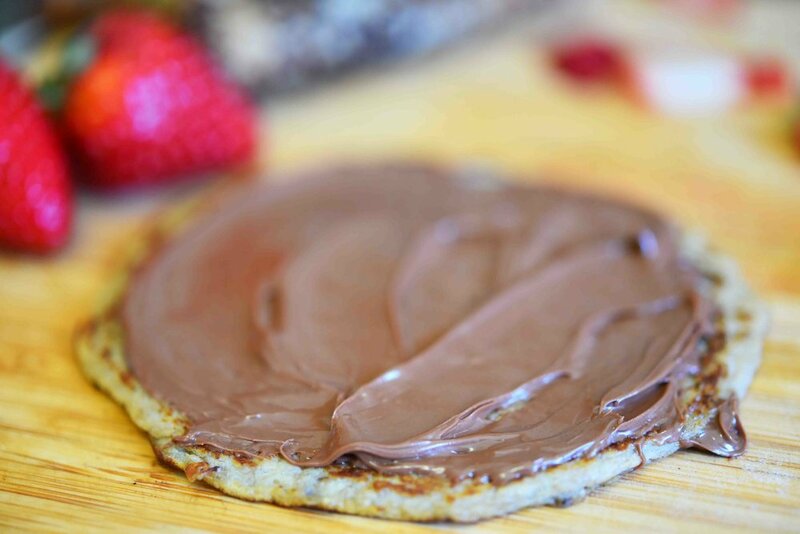 To serve, spread about 1 tablespoon of the Nutella over each crêpe. Then place a line of sliced strawberries slightly off center in each crêpe and roll them up, starting from the side closest to the strawberries. 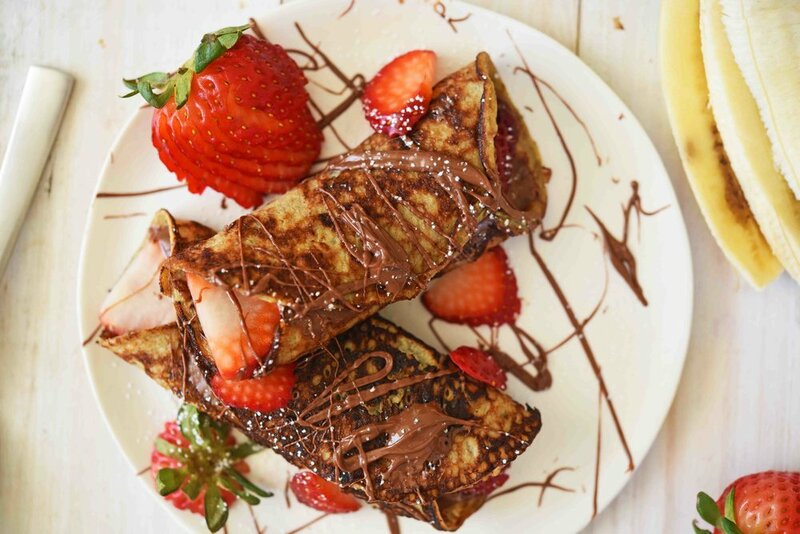 Drizzle the finished crêpes with more Nutella, then sprinkle with powdered sugar.